There’s still a backlog of number plates over at the LTO (some dating all the way back to 2016), but that doesn’t mean they can’t dream big. 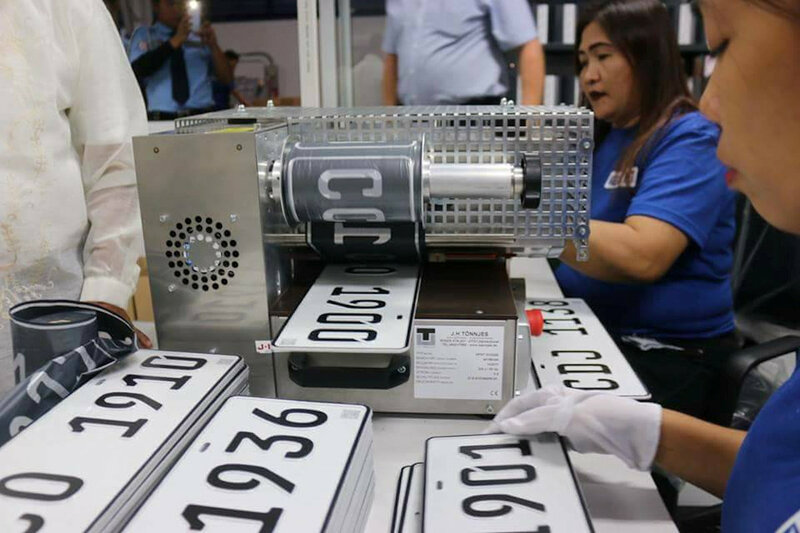 In a statement, LTO Chief Edgar Galvante said that they’re upgrading their system so that newly-purchased vehicles will be issued an assigned motor vehicle plate even before it leaves the showroom. The plates will be distributed through LTO-Registration District Offices to legal (i.e. LTO accredited) dealers and distributors. “Ibig sabihin po nito, ang car dealers ang magsu-supervise ng distribution nito sa kanilang buyers. Kaya pagbili ng brand new cars sa kanila ng buyer, bago ito ibigay ay may assigned plate na ito once na mairehistro kahit saang LTO-Registration District offices,” Galvante explained. (This means that it is the car dealers that will supervise the distribution [of the plate numbers] to their buyers. That’s why when you purchase a brand-new car, before it’s turned over to the owner, it will have an assigned plate already once its registered with any LTO-Registration District office. The LTO pointed out that assigning of motor vehicle plates in advance could curb corruption, especially in the issuance of car plates for brand-new vehicles. Also, it separates legitimate authorized dealers (those operating with an LTO accreditation) from gray market or parallel importers who operate without accreditation. Car dealers and manufacturers welcomed this new procedure which could begin as early as the end of the year. Can anyone explain why the need for another ID (i.e. plate number) when in fact there already is one (i.e. conduction no.)? Doesn't the conduction no. serve the same purpose - to uniquely ID the car? It's gotten out of hand na. Cars with no IDs on the street. Yung iba, fake pa yung identification (saan ka nakakita 2016 Montero na "AGA" series yung plate). Yung iba, "LAWYER". "PROSECUTOR". "MASON". It's really f*cked up. This will end the overpriced personalized plate scheme that has been going on for years. This is a good system, similar from abroad. Hopefully, this is the beginning of a more efficient LTO transaction scheme that people can appreciate. Unless scammers are curtailed, there will always be glitches in the system.